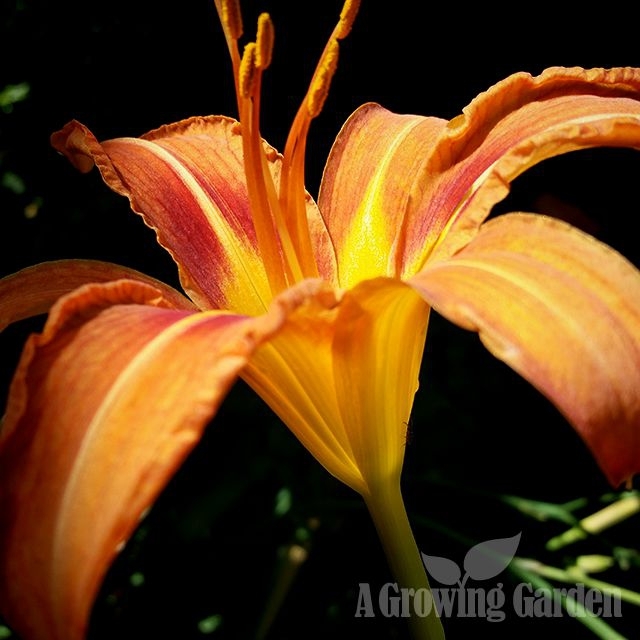 Probably like most people, my first introduction into the world of daylilies was through Hemerocallis Fulva. 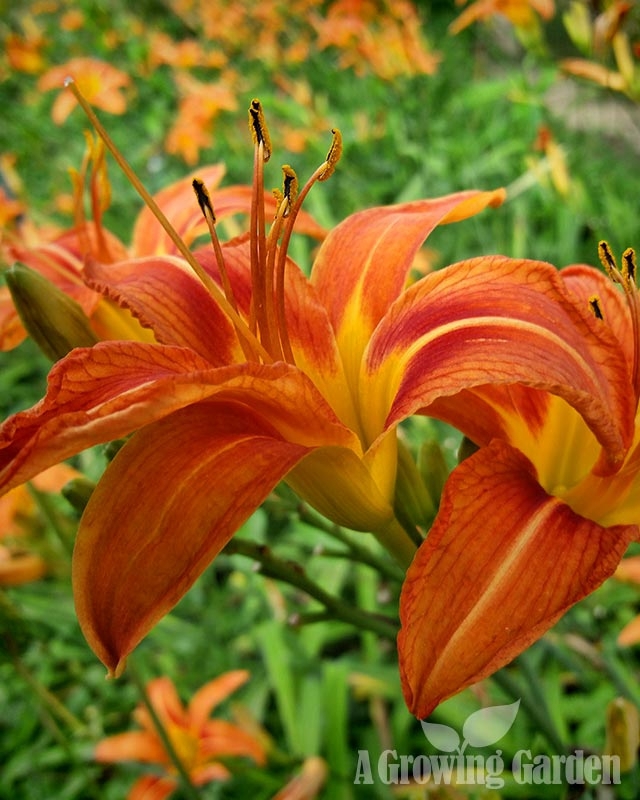 Known by lots of nicknames (ditch lily, common daylily, tiger daylily, tawny daylily, old orange daylily, and old fashioned daylily), it's a very common flower often found growing "wild" throughout most of the US -- along the roadside, along streams, in meadows, or pretty much anywhere it can. And grow it will! 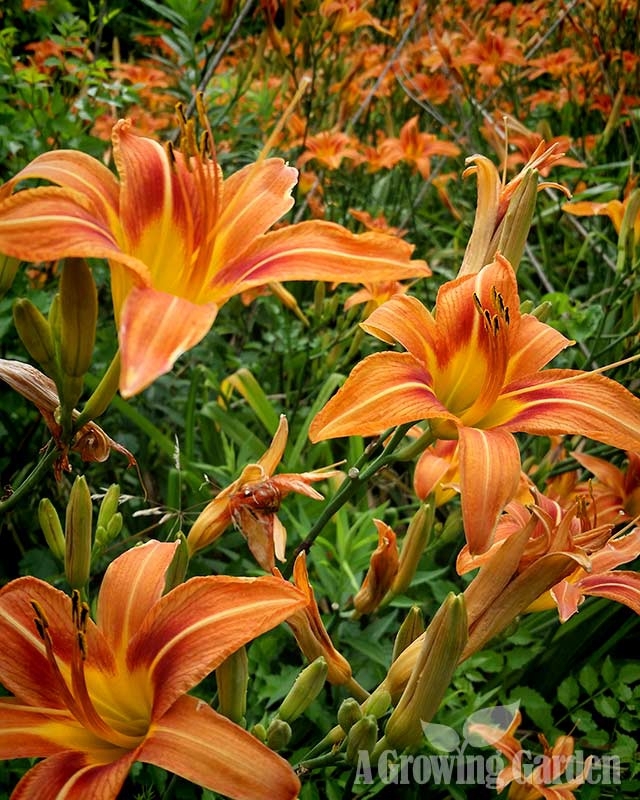 It is a very easy perennial flower to grow and multiplies quickly .... so easy and so quickly, in fact, that some people view it as an invasive species that should be planted with extreme caution or it might take over wherever it is planted. 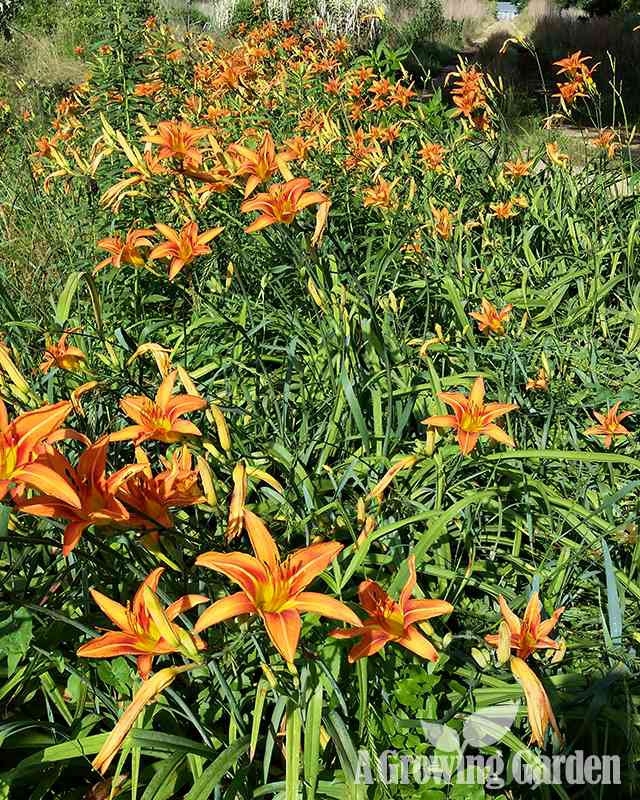 I personally can't imagine trying to get rid of these daylilies - they are great in places where other perennial flowers won't grow or where the soil is poor, and they are perfect for stabilizing banks and helping to curb erosion. 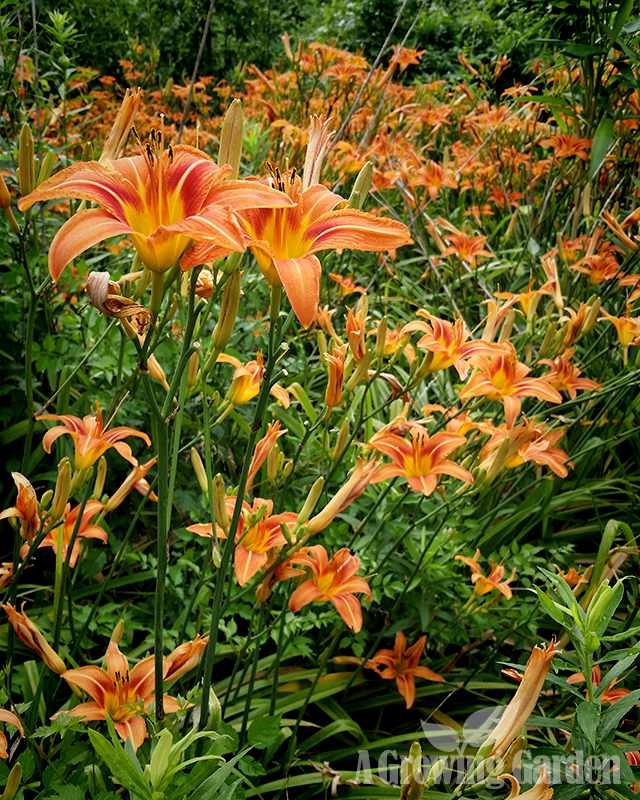 While they will grow best in full sun, Old Fashioned Daylilies (my preferred nickname for Hemerocallis Fulva) will also grow in part shade and in pretty much any type of soil (assuming that it drains rather well). 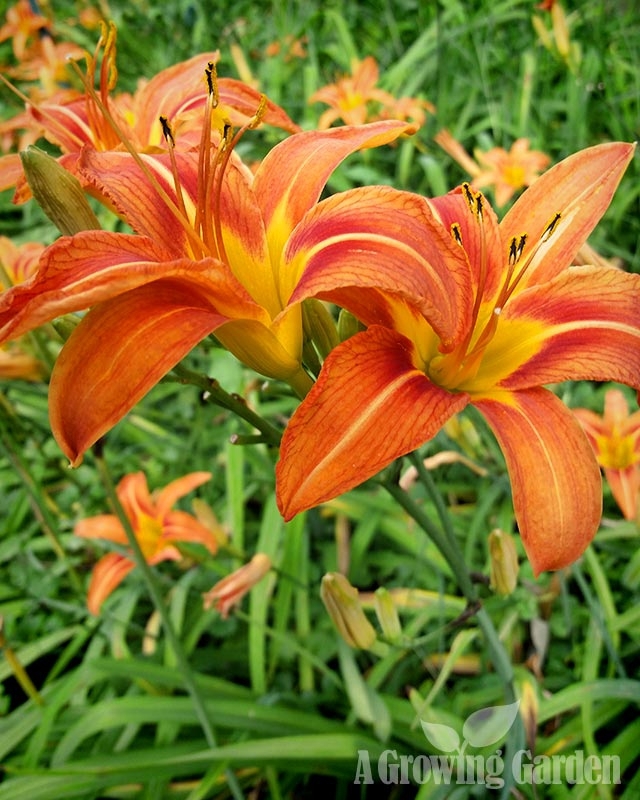 These daylilies do not produce seed pods and reproduce by stolons (runners) or by division. They are hardy in zones 3 through 9. 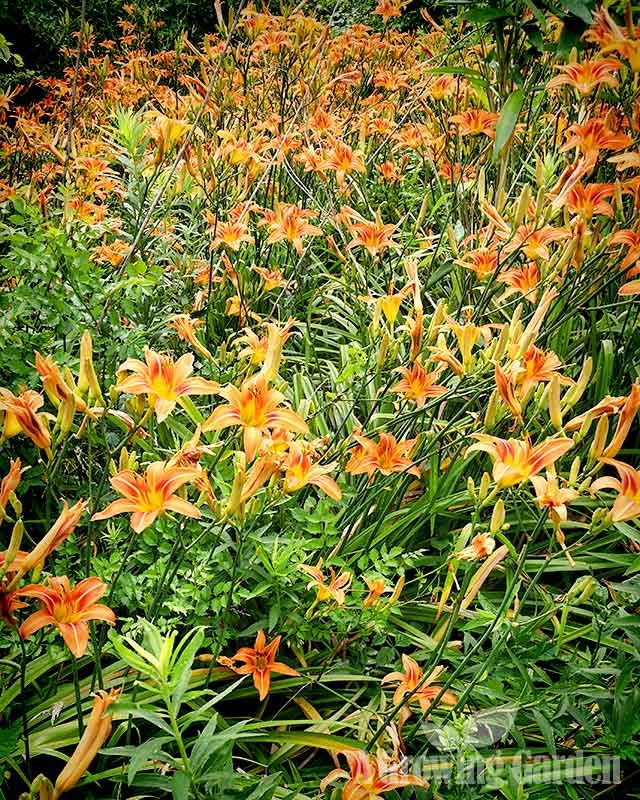 We have an absolute TON of old fashioned, orange daylilies growing here ... June is a very "orange" month for us. There are large swaths of them growing along our driveway, next to our marsh, and in various meadows near our woods. I don't have them in any of my formal beds, but rather let them grow in a more natural setting. 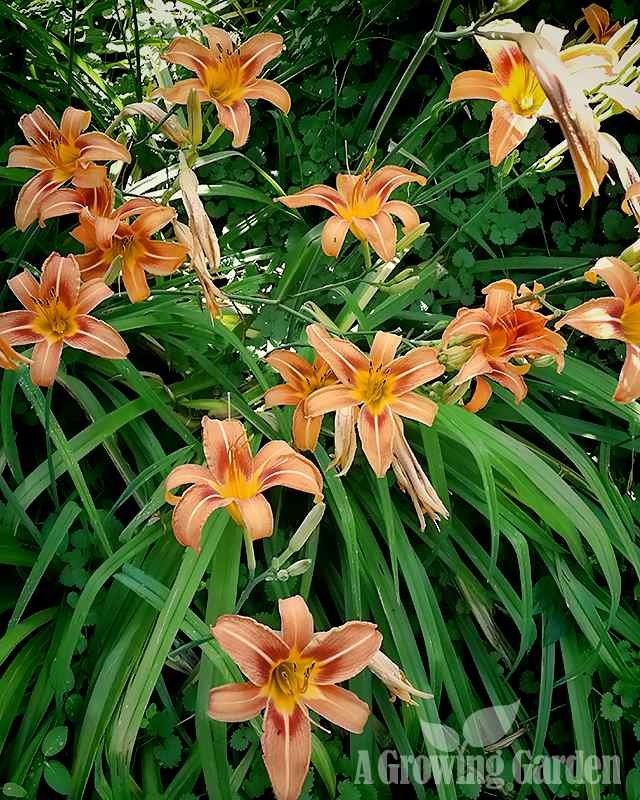 There were a lot of old fashioned daylilies here when we bought the property and although I did move some years ago, I've never planted any new ones. 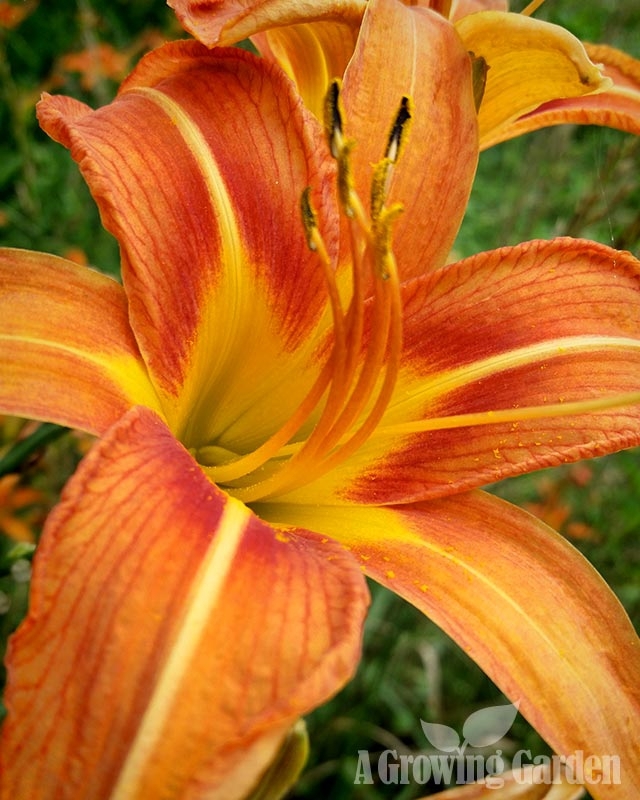 These native daylilies continue to grow and spread without any care from me at all! I never weed them and the deer here don't usually eat them (although the deer in Northern Virginia always ate the flower buds of all of our daylilies). Flower Seeds from the Dollar Store?